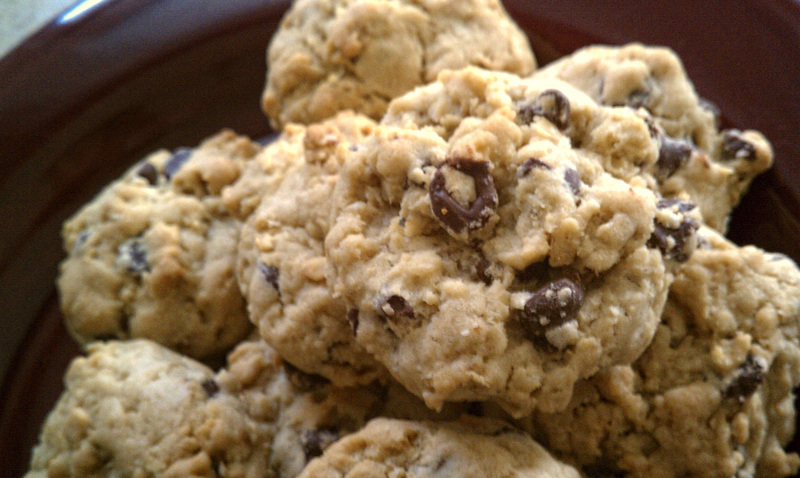 This month’s featured recipe is our Oatmeal Chocolate Chip Cookies. I am addicted, I must say. I enjoy running, but it is really to keep my cookie habit in check. And I love my chocolate chip. So we are sharing this with you. We hope you like it. Mix flour, soda, and salt in a bowl. Set aside. Mix butter and sugars until creamy. Add egg and vanilla, mix well. Mix flour mixture into butter and sugar ingredients. Mix well. Mix in oats. Mix in chocolate chips. Bake at 350 about 12 minutes, or until golden brown. So delicious. Enjoy warm with a glass of milk.